Your Sunday is about to get super sip happy. 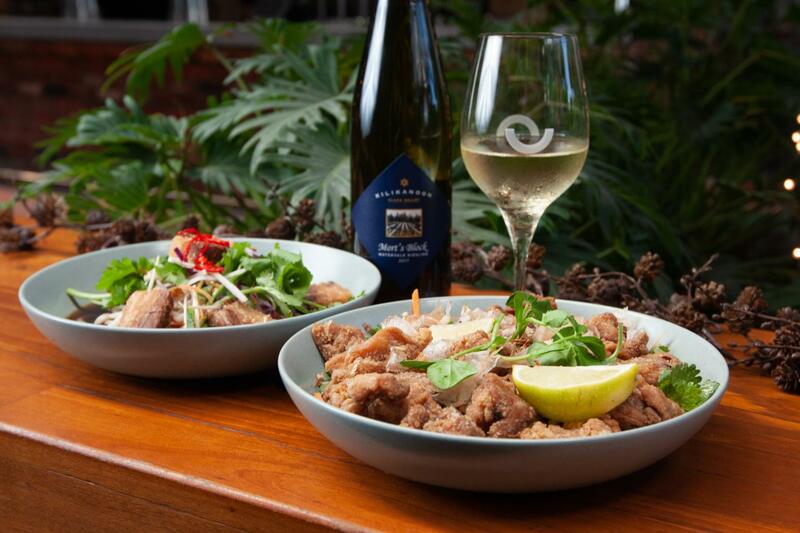 Lunch has a new lease on life, with Kilikanoon riesling chiming in for two hours of bottomless bliss from 12pm on April 14! For $10 off this irresistible lunch, use the code WINETIME when checking out here. Hosted by BJ Jull (2018 Australian Wine Producer of the Year), Osbourne Hotel’s chef Ben King is matching the acidity, minerality and fruity notes of the Mort’s Block and Killerman’s Run rieslings on offer with a killer menu. Pork belly ramen, ras el hanout goat tarlet with cucumber raita, karaage chicken with Asian vegetables and glass noodles, and mushroom and pineapple san choy bau are just the start of the plethora of goods that you can expect. Be sure to secure your spot here.